Beijing's local authorities made an announcement regarding the prohibition of adding more bikes to the shared bikes program. A spokesperson for Beijing's Municipal Commission for Transport says that a total of 15 companies use 2.35 million shared bikes. The shared bikes program is to relieve vehicle congestion and chaotic parking in larger areas like shopping centers and passageways. Furthermore, this biking system creates obstacles for pedestrians. The transport commission of Beijing also says that it is currently working on the directives for the new industry that includes technology and executive and facility examination standards. The commission aims at the formulation of better rules that guide these bikes. It calls for the wards to better handle the regulation of bike parking. The spokesperson says that they fully recognize bike-cycling helping to reduce the city’s poor air quality. Additionally, Beijing's transport commission intends to prohibit shared electric bicycles. It is mainly for safety purposes and creation of more parking spaces. He says that violators of this law will not go unpunished. The issue of banning shared bikes due to overcrowding of the main city places is not only happening in Beijing. Recently, other major cities, such as Guangzhou, Shanghai, and Wuhan also enforced the prohibition rule on shared bikes within the towns. Shanghai announced the outlaw this year in August. The city's transport authorities plan to instigate a whole month's campaign that aims at prohibiting new shared bikes within the towns and impede parking commotions. The Big-Data Research group found that shared bikes used last year were 19 million and he number, if not controlled, could rise to 50 million by the end of this year. On the other hand, bike-shared companies opt to expand to smaller towns and diversify to worldwide markets. 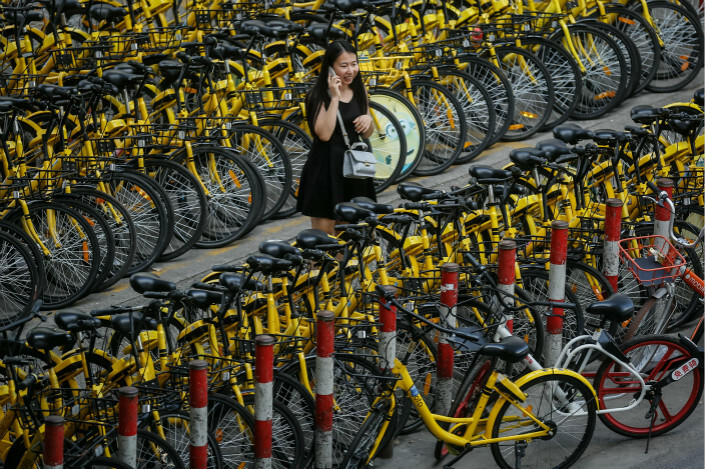 Such a case is Ofo, which began its facility in Seattle and Singapore. It becomes the first Chinese bike company to set the pace for global operation.